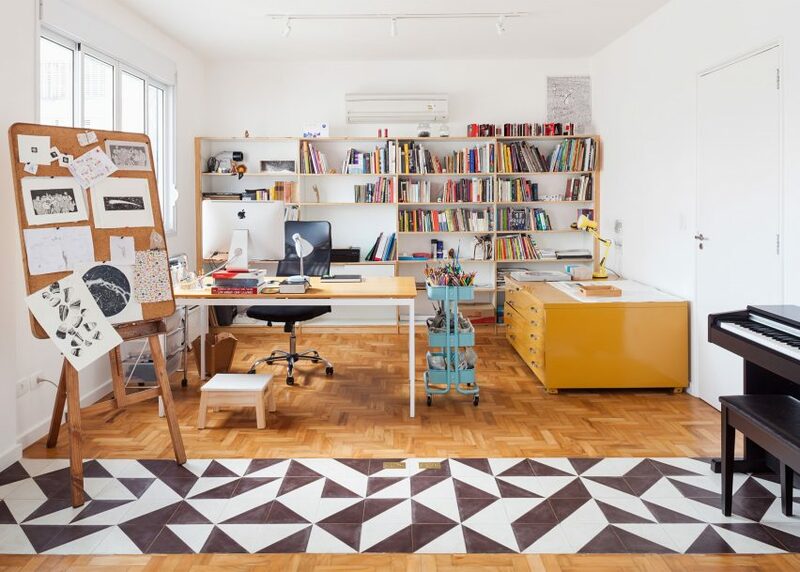 A translucent fold-up doorway separates a studio from a living room in this apartment created for a São Paulo-based illustrator who works from home. 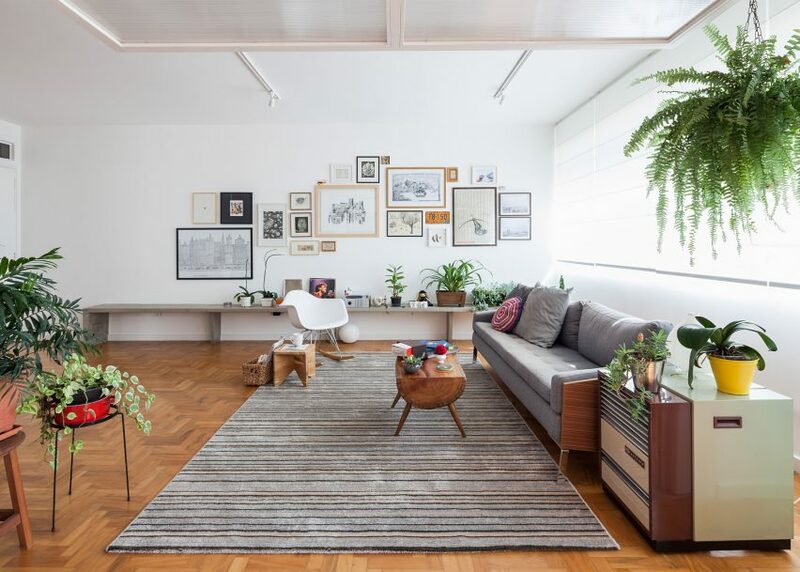 Architects Claudia Bresciani and Júlia Risi reconfigured the Oscar Freire apartment to create a more light and open space suited to both living and working. Previously occupied by a family, the flat had become run-down, with many partitions that blocked light. 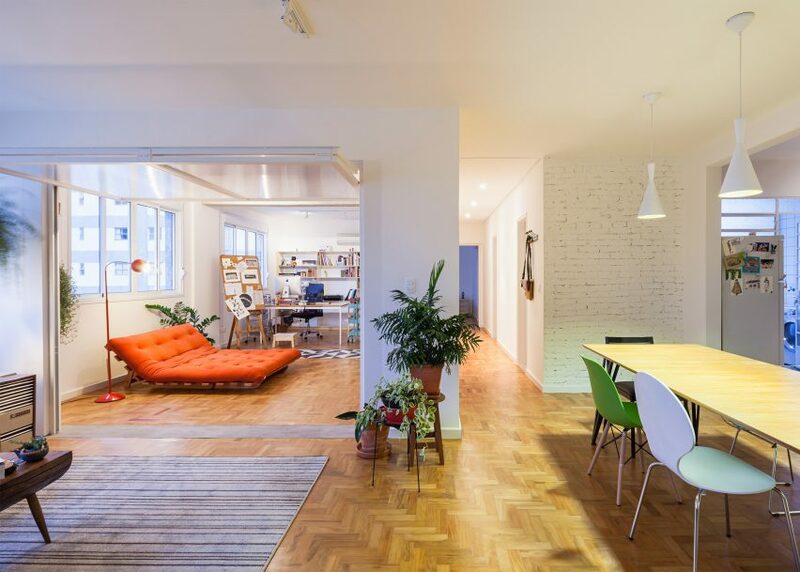 The architects restored its features, like herringbone parquet flooring, and removed walls to create an open-plan space containing a kitchen, lounge and studio. Between the studio and the living room, a see-through folding door offers the illustrator privacy when needed, without obstructing light. 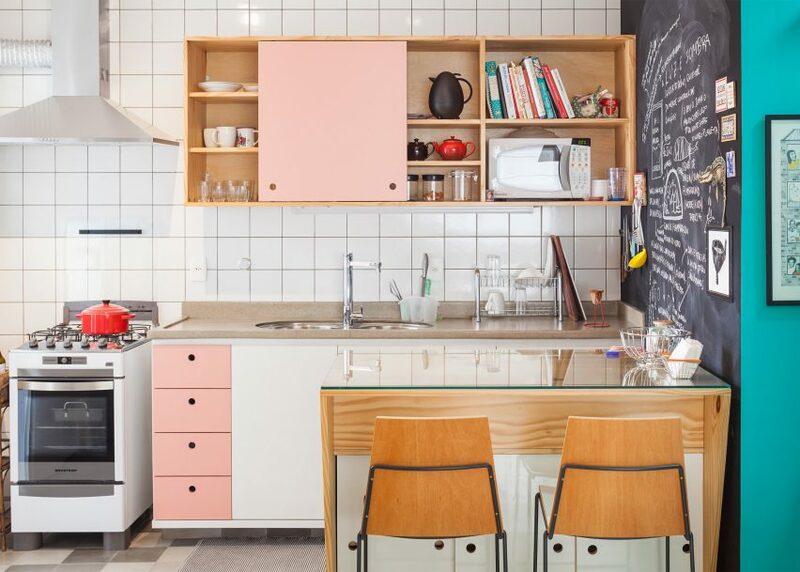 "The apartment was in very bad condition before the renovation," Bresciani told Dezeen. "The rooms were dark and it looked as if the place was abandoned. "We decided to demolished some closing walls to integrate the spaces and to bring light in," she continued. 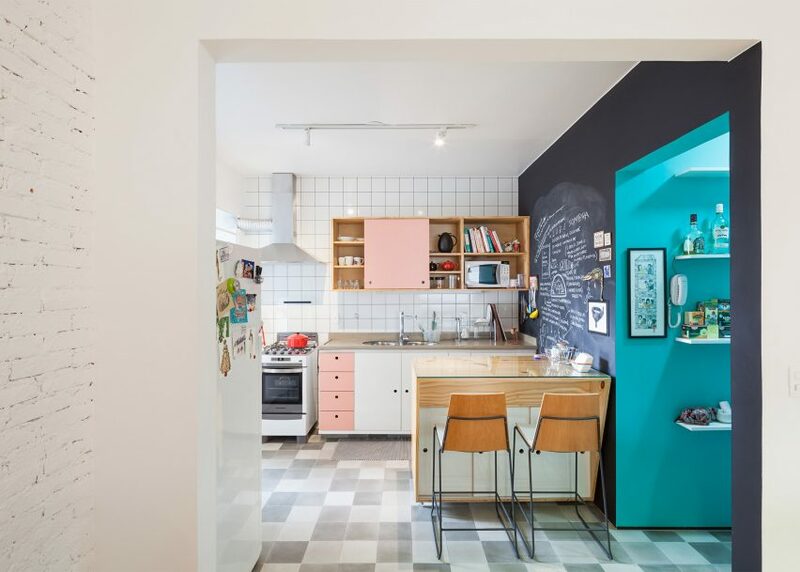 "We connected the kitchen with the living room, and created an opening in the wall between the living room and the atelier, where a translucent fanfold gate unites or separates the spaces, as the client wishes." 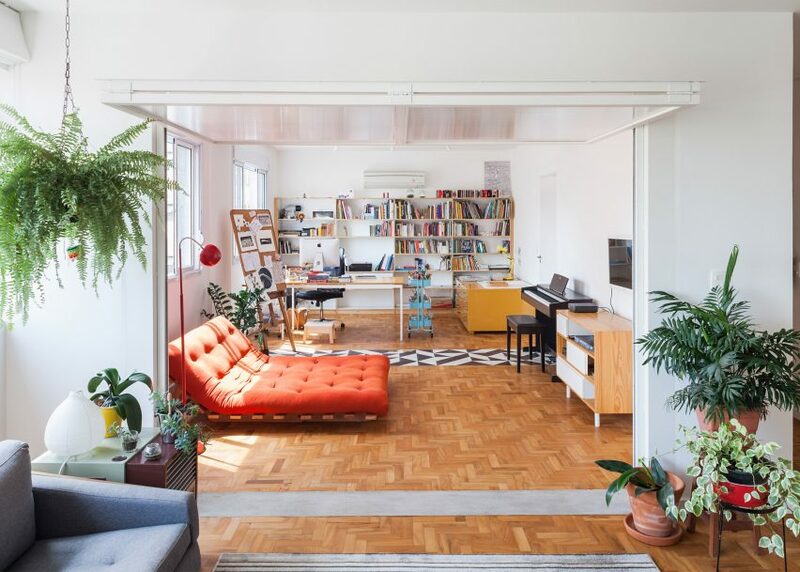 White-painted walls complement the wooden flooring in the the studio and the living area. The spaces are decorated with the illustrator's designs, as well as an eclectic mix of furniture and plants. "On the proposal, simple and usual materials were adopted," said the architect. "The idea was to develop a neutral environment so the artist's works and her belongings would be highlighted." In the living area, a concrete bench runs the full width of the room at one end, while a long dining table acts as a division between this space and the kitchen. 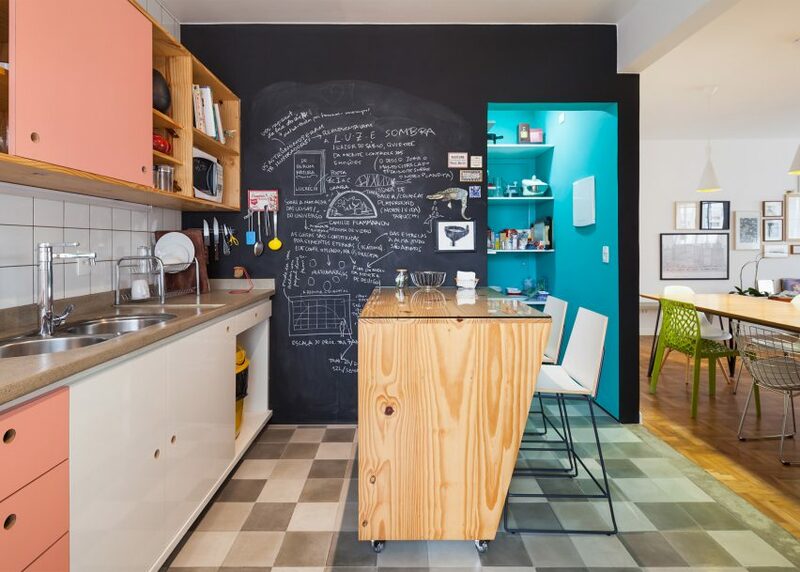 The kitchen features pinewood cabinets with white and pink doorways, as well a blackboard that covers one wall. There is also a small open pantry that is painted turquoise. The master bedroom and a walk-in closet, which was formerly a maid's bedroom, sit at the other end of the apartment. These are also connected to the two bathrooms and a laundry room. 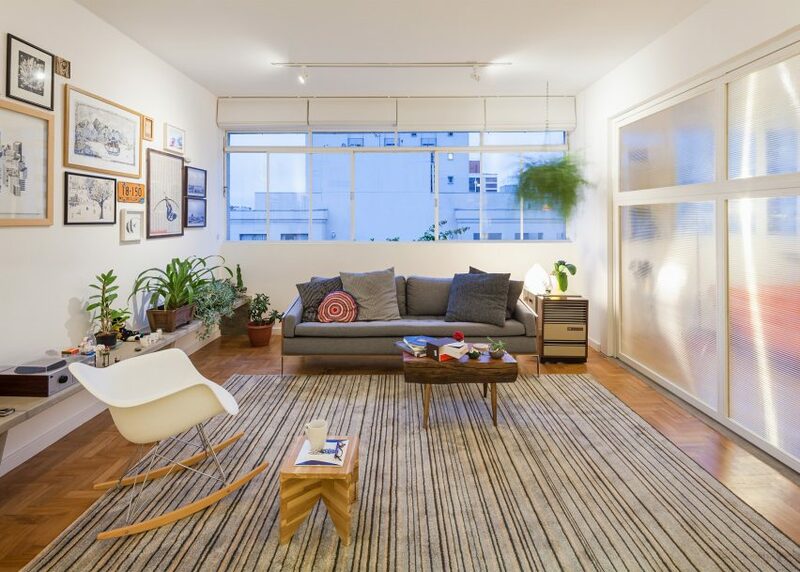 The Oscar Freire apartment follows a series of recent flat renovations in São Paulo. 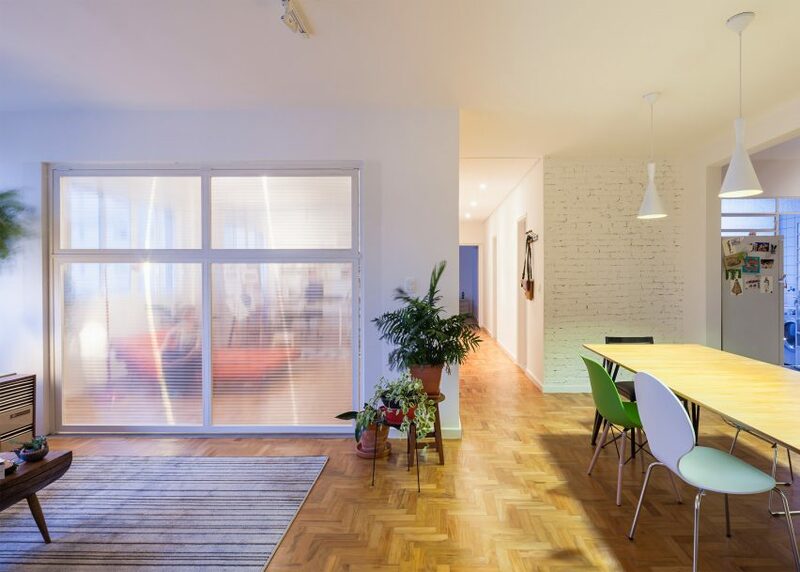 Other examples include an apartment by Alan Chu that features partitions and furniture made from ceramic ventilation bricks and a 1960s flat updated by Vitra Arquitecta with exposed structural concrete pillars.